Blog Check Out Our Sadcore Sundays Spotify Playlist! Check Out Our Sadcore Sundays Spotify Playlist! Listening to music is a great and healthy way to cope with mind obstacles in trying times. 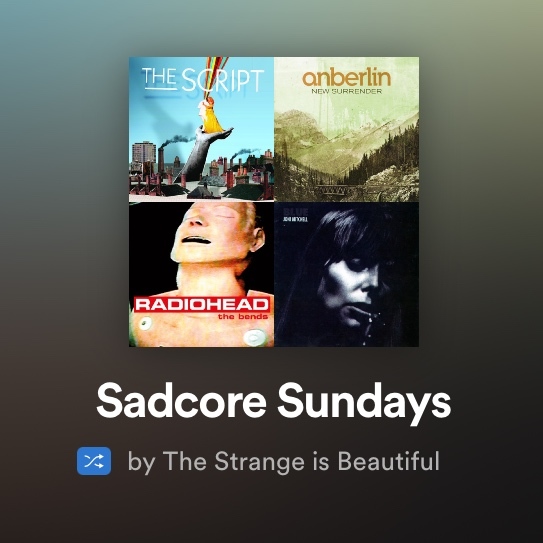 In honor of National Suicide Prevention Month, The Strange is Beautiful has created a Spotify playlist including featured artists from our Sadcore Sundays posts. We hope that these songs lift your spirits and help get you through tough times.